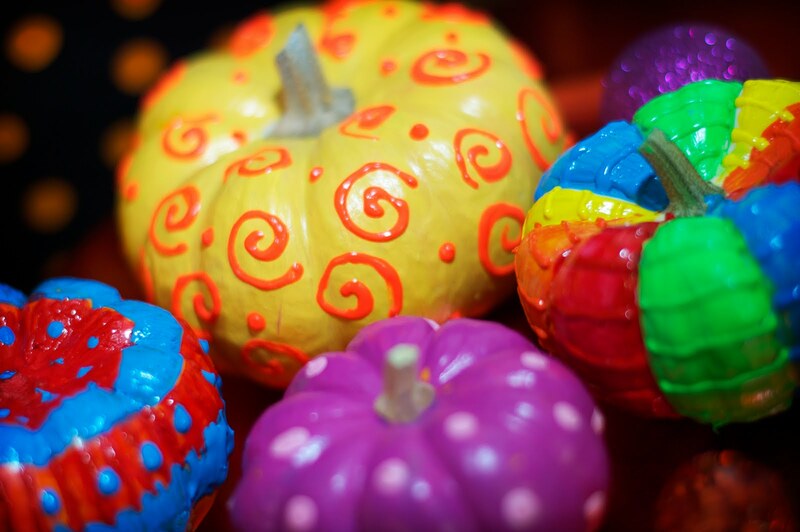 Tonight, I wanted to make some fun, colorful pumpkins. I think I succeeded, but my craftsmanship is less than I desired. I have a really bad problem of not waiting until everything is dry and I touch my puffy paint pumpkins way too soon! Bad, bad idea. I must get better at this. They’re still bright and lively and will make for some fun eye candy. Maybe next time, I’ll be a little bit more patient! On the ones you see, I did a basecoat of acrylic paint first, then went back in with puffy paint (you can use Scribbles or Tulip® 3D Fashion Paint) and drew lines, swirls, and dots with the back end of my brush. Colorful and festive…love them!! I know what you mean about touching the paint before it’s dry. It’s kinda like standing at an elevator and you see the light lite up but you push it again anyways…LOL!!! 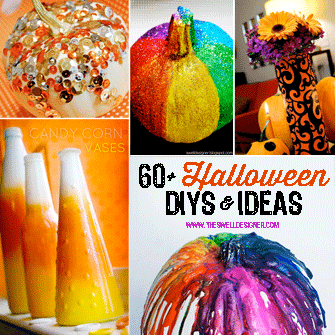 Love the colors…what a great way to decorate pumpkins! I love them, especially the purple one. 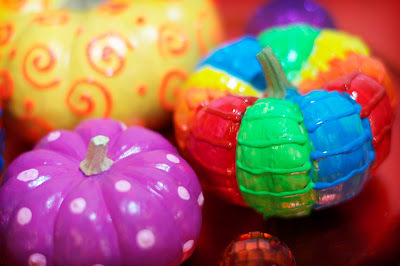 One of these days, I am going to buy a bunch of baby pumpkins and paint them all sorts of colors.